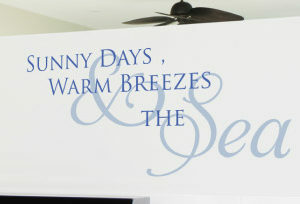 The sea breeze is one of the pleasures we look forward to during the summer season. The cool breeze and familiar smells bring back our memories of family picnics, beach sunsets, and bonfire camping. 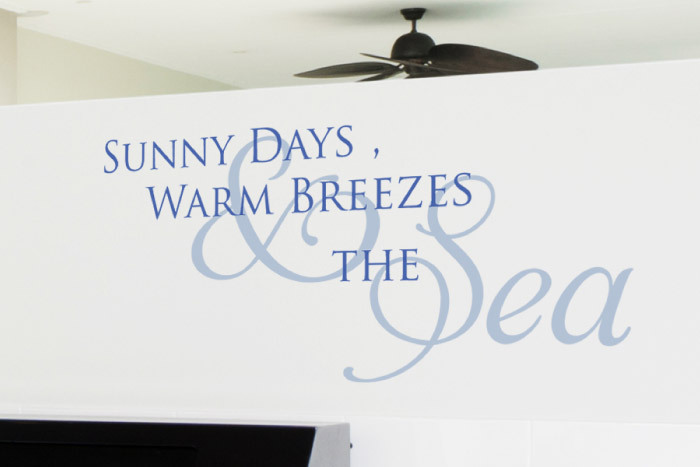 Let this positive energy drive you throughout the year with our wall lettering decals. 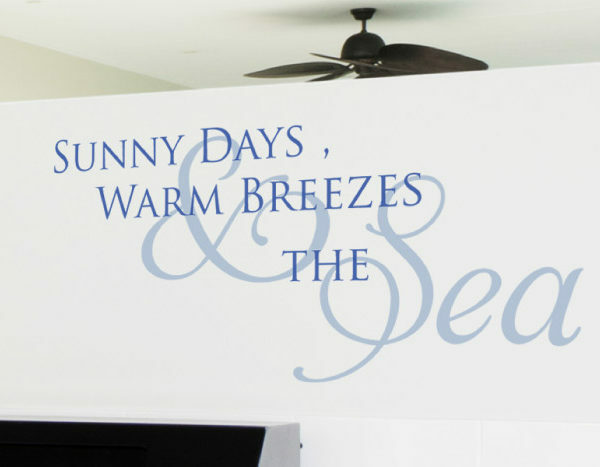 Just like summer, this wall decal is a great way to add warmth and light to your home. 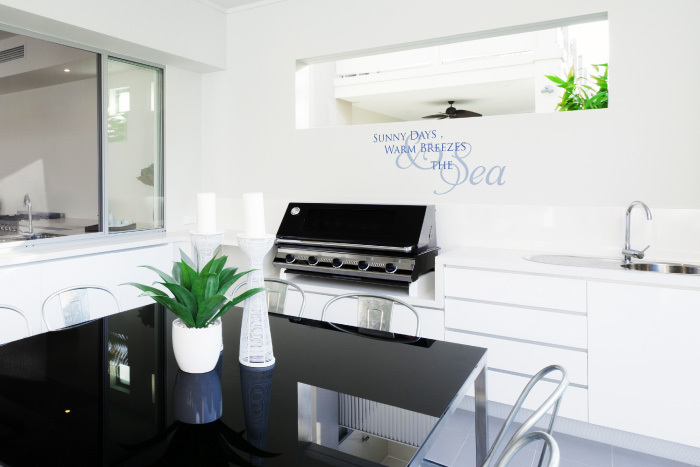 Aside from placing the wall lettering near your kitchen window similar to the image, you can have it as a welcoming wall art above your foyer windows or have it beside your bedroom window to create a romantic touch on your blank walls. There are so many ways to layout this wall words. You can use two different text styles and have it in two or three lines to create a compact look, perfect as a focal point in any room. The letters can also be inscribed below or above a window in a straight line for a clean and polished look. Have fun with the color and size combination and you’ll get a more personalized look at your wall decal art. straight geometric lines of the room. The two text sizes and lettering styles also break away from the rigid design while the cool yet pastel like the color of blue gray of the wall lettering syncs beautifully with the silver accents in the kitchen. 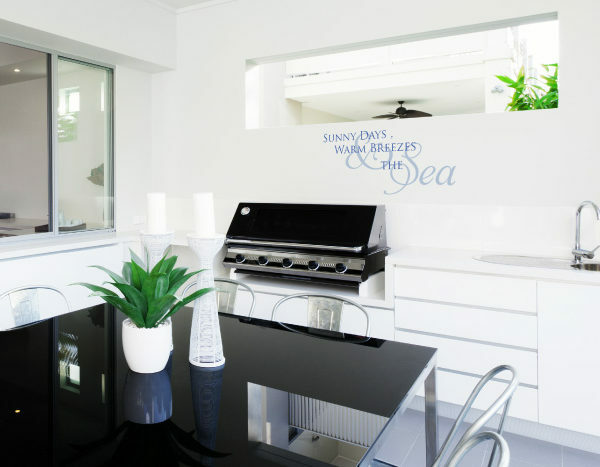 Visually interesting this kitchen wall decal design makes a beautiful focal point that the family and visitors will surely enjoy.